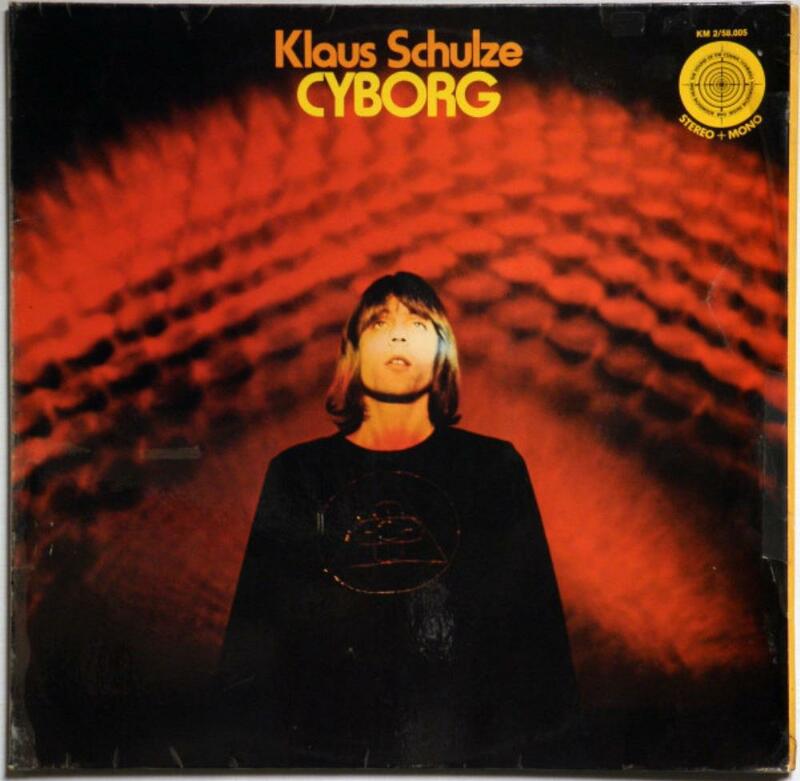 Cyborg is the Klaus Schulze album for melancholy robots. Cyborgs are robots resembling human-form, but with the inability to feel and sympathize with human emotions. That is very much the sound of this album. "Synphara" starts the album off in a dreary, dead, empty and cold atmosphere made of synthesizers and electronically manipulated classical instruments. Electronic sparking, spatial waves, cascading electronic-sparkle effects and windy drones help move the track along slowly and sadly to a finale sounding like the beach of an electronic ocean. "Conphara" is initiated with a steady buzz and tick-tocking as synths and mellotrons eventually soar high above in the mix. The static washing-machine-like effect that serves as the backbone of this track gets stronger over time and is severely hypnotizing. "Chromengel" is an adagio of organ, spatial electronic experiments, and a buzzing drone. The barrage of galactic squeaking, barking and squealing gives this track a very sad, almost maddening feel. The life of a cyborg, considering that they are mechanic, is profoundly long - much like this album (almost 100 minutes). Cyborg progresses from the constant, uneventful drone that dominated Irrlicht by adding more sonic textures and more organic instruments to the mix, but it still has the same feel overall as the previous album. Fortunately, from here-on, Schulze's music would continue to get better and better. Though this album would be a bad place to start with Klaus Schulze's music, Cyborg is a great addition to anyone's Schulze collection.